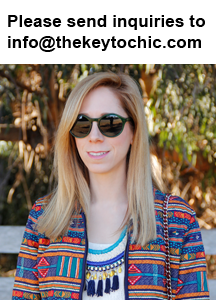 Presenting the second installment of the Twin Tuesday feature I'm doing with fellow style blogger Toni. We have so many of the same things in our closet, and this bird print sweater from Target last year is one such item. The theme for this week is how to style the sweater for a lunch date. I promise that we both wore white bottoms, necklaces, and black handbags by coincidence! I'm keeping it casual and mostly monochromatic outside of a favorite eatery in two-tone trousers and studded kitten heels with some sparkly jewelry for a touch of glamour. It's a look that's slightly more dressed up than my go-to skinnies and ankle boots, but equally as functional and comfortable. The best part? The trousers look completely different from front to back. 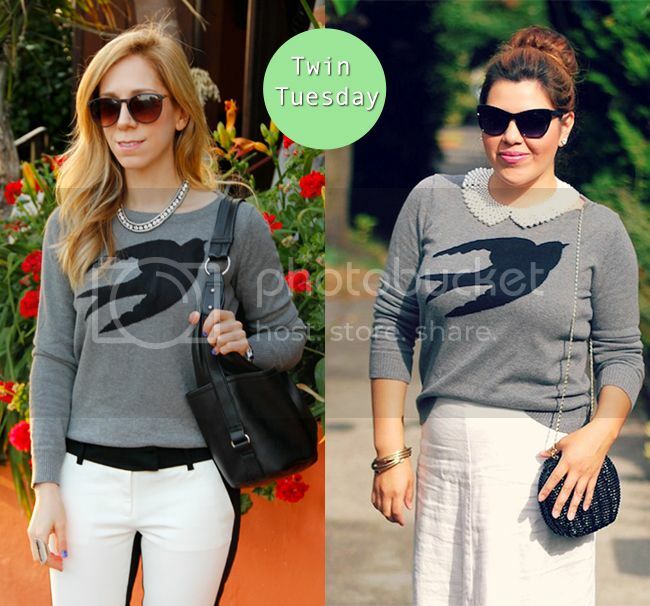 To see more details of Toni's look from head to toe, take a look at her Twin Tuesday post!